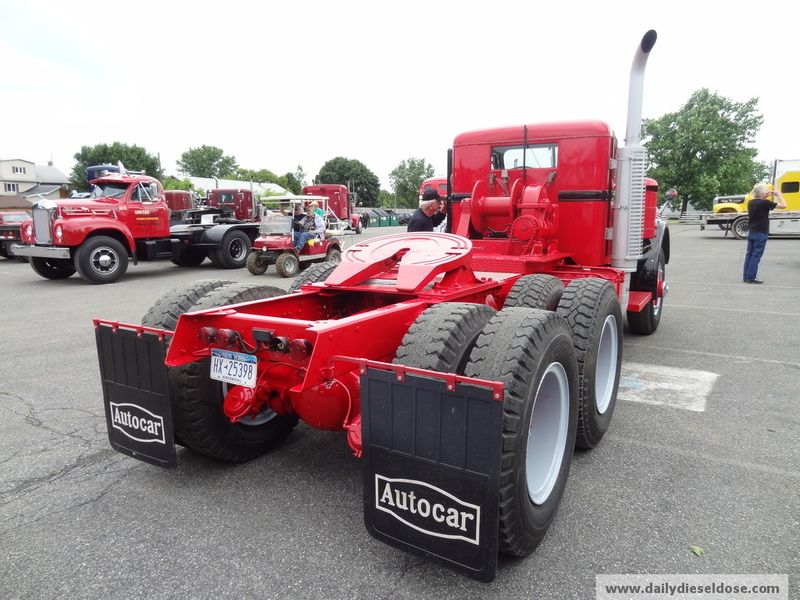 Here is hold over from the ATCA truck show that I new I just had to save for Autocar Mondays. 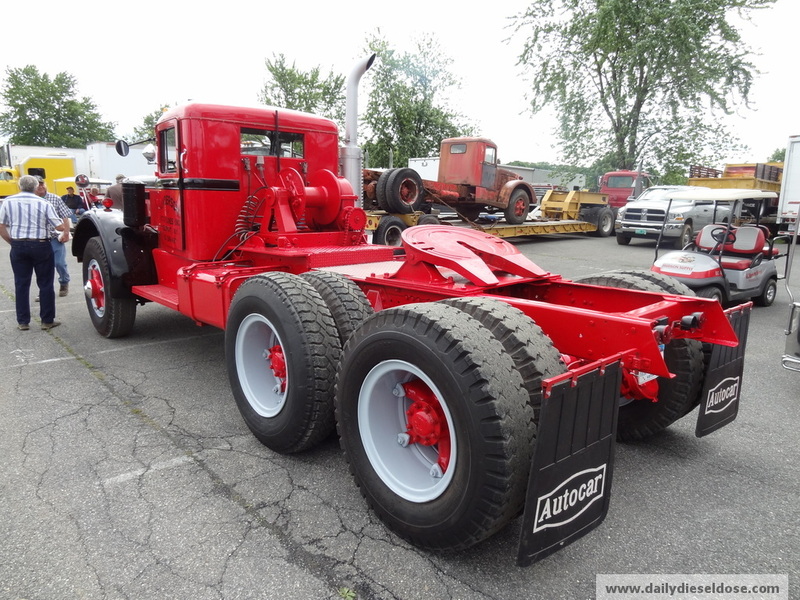 I passed this ’49 Autocar on the way to the show and later I saw it arrive. I hoped that I would be able to see this rig unload but was unsure if that was going to happen. Sometimes a truck that arrives to a show on a trailer stays on a trailer. Thankfully this was not the case with the fine piece of machinery. 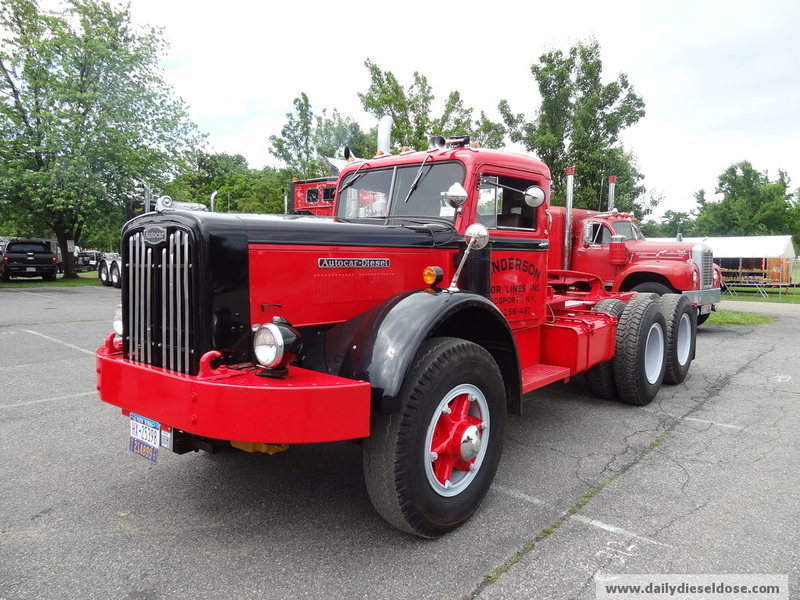 Here is a great video of the truck being unloaded, at idle and moving around the show grounds. 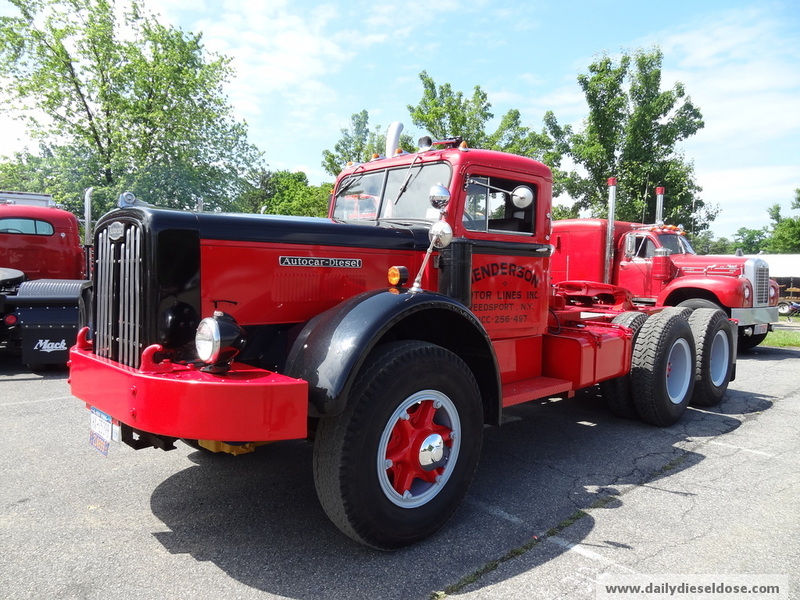 Rick happened to come across more videos of this great truck on Youtube. 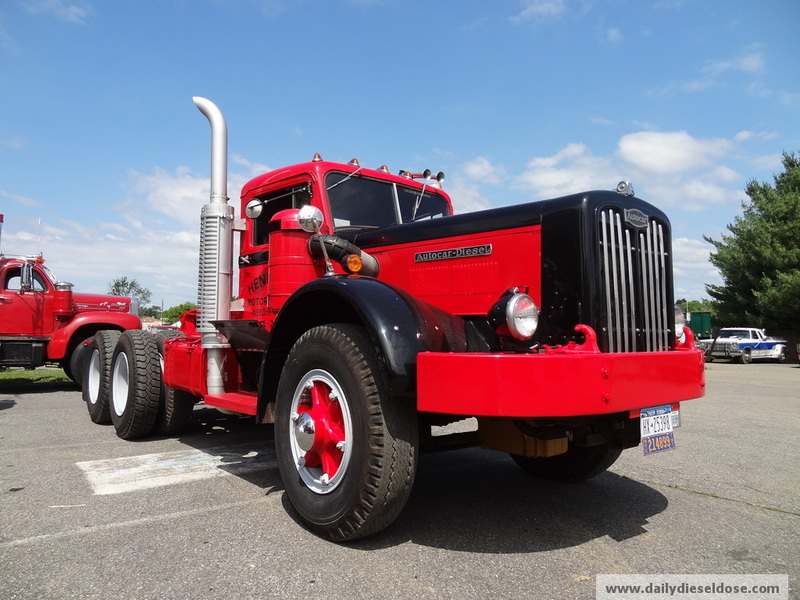 At some point the famous Longroadpro group featured this fine truck and its owner in one of their video productions. So check them out to see this fine machine in action from behind the wheel. 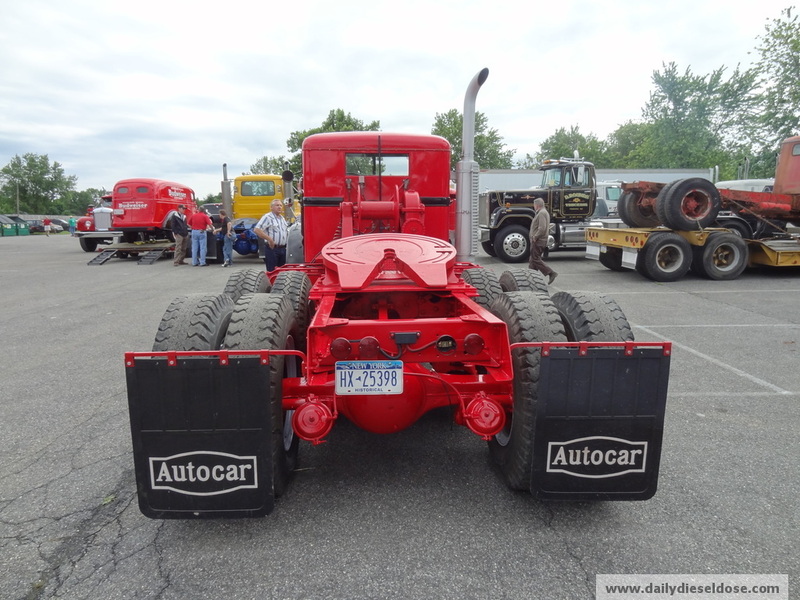 This entry was posted in Autocar Trucks and tagged atca macungie, autocar dc100, autocar truck. Bookmark the permalink.